As a Management Consultant I see clients who come to us for the sole purpose of a creating a project plan, particularly in the e-commerce and living services space, but very often they need a cohesive business plan before we can implement an effective project plan. Here are some guidelines to identifying which you need and to creating both. Any idea you have about generating money from goods or services is a business and deserves a business plan, even if it is on the back of a serviette while you’re having coffee. Start small and don’t be intimidated. From one sentence or paragraph can emerge your strategic intent. The purpose of a business plan is twofold. 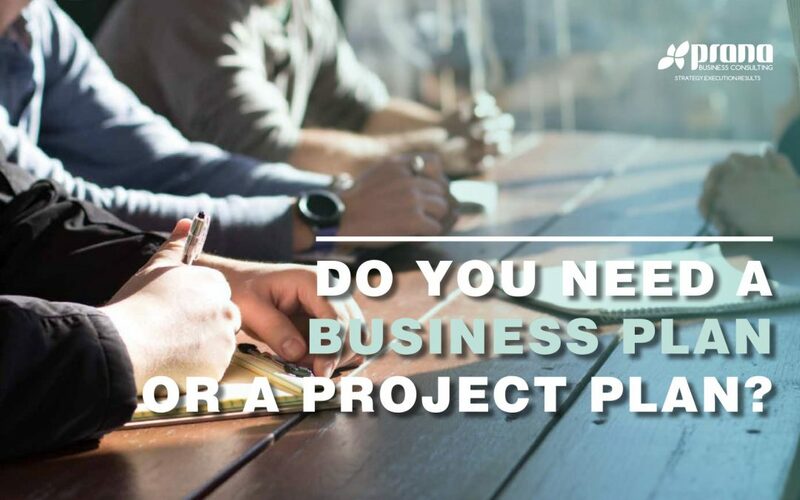 It is a vision and a roadmap plus, if you’re looking for funding or investment it’s essential to have a great business plan, while a project plan may be something which follows on from that. Entrepreneur explains a business plan as a “Written document describing the nature of the business, the sales and marketing strategy, and the financial background, and containing a projected profit and loss statement.” Key to doing this is to know your business purpose, the “why” of the product, this is important for yourself and potential investors. There are steps within step to a business plan, and getting a business profile right includes knowing how to engage your audience and telling your brand story in a unique and engaging way. Joanna Zambas has some good tips in her article How to Write a Company Profile including being aware of style and clarity as well as using testimonials and adding in a powerful call to action. This is another sub-section which requires analysis and strategic thought. There are great “how to” online guides here, Hubspot actually have free templates available to use. This area is about how you’re going to sell so it includes marketing tactics, budget (financing / advertising) and marketing goals (new products / cross selling) as well as clearly defining your target audience. Appendix – an optional section that includes résumés and permits. For project plans to produce the desired results they need to integrate, support and inform a business plan in terms of marketing strategy, development and direction. I’ve written on the tools to create great project plans including matrices and models to help identify almost every aspect of a business. This includes brand purpose, role players, actions, insights, competitors and company growth. End users who use the end product. This includes outlining what the benefits of the product / service are – how is it helping, who is it helping and how do you get out target audience to buy into it. The deliverables can then be written up in what is called a “Scope Statement”. This also includes creating a Work Breakdown Structure (WBS) so that the team is organised into manageable sections. The Scope Baseline is an extension of this and acts as the reference point through the project cycle. It includes the project scope document, the WBS itself and the WBS dictionary. 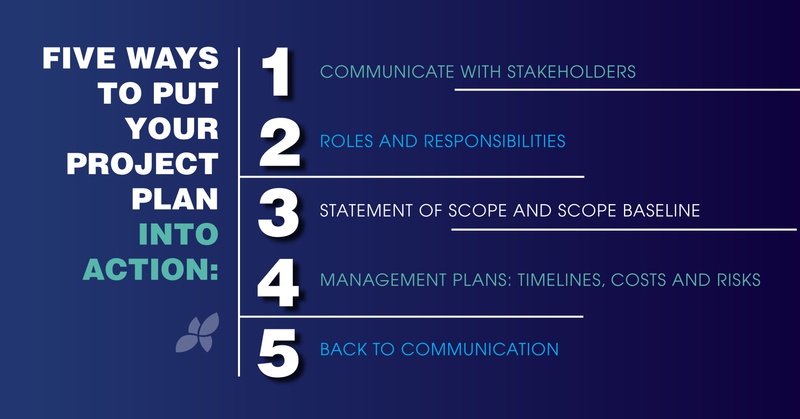 You’ll notice that communication, engagement, feedback all loop backwards and forwards when creating a solid project plan. Not so with your business plan which can be a bit of a lonely task. Feel free to contact us at Prana if you could use a consultant to guide you along the way.